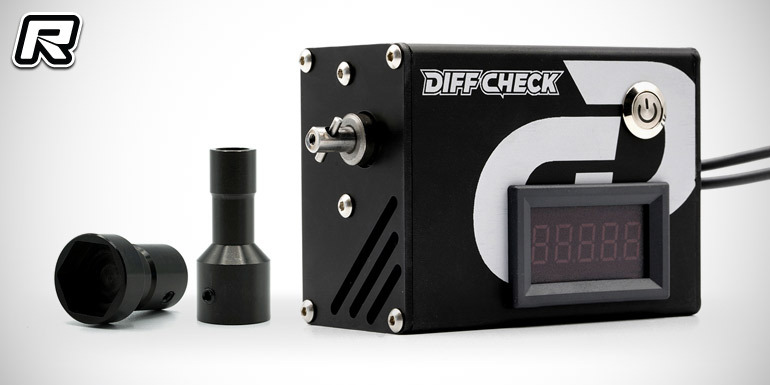 Monaco RC have introduced their new Diff Check device that helps to measure the hardness of gear differentials. The handy device allows to measure the diff setting, ensuring consistent hardness after building, maintenance or setup. 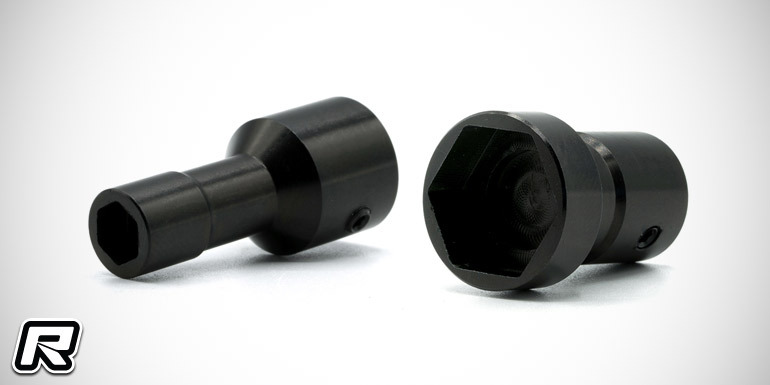 Two adapters, a standard 7mm nut driver for 1/10th scale on-road and off-road vehicles as well as an 1/8th off-road and GT-specific 17mm adapter allow to use the diff checker with a wide range of vehicles and with the diff staying inside the car. 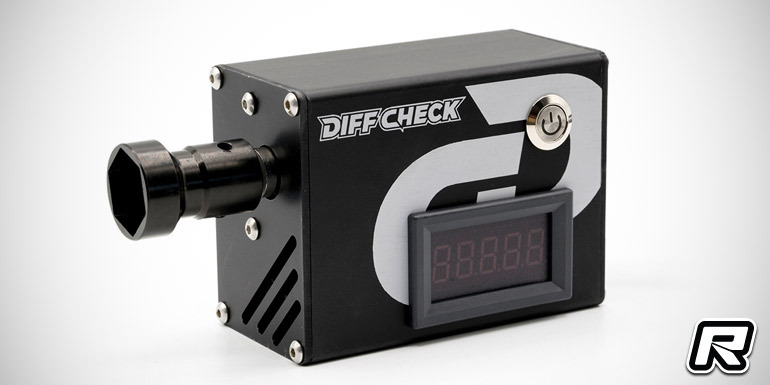 It is understood that by leaving away the adapter diffs can also be checked directly by simply connecting one diff outdrive with the diff check hub. 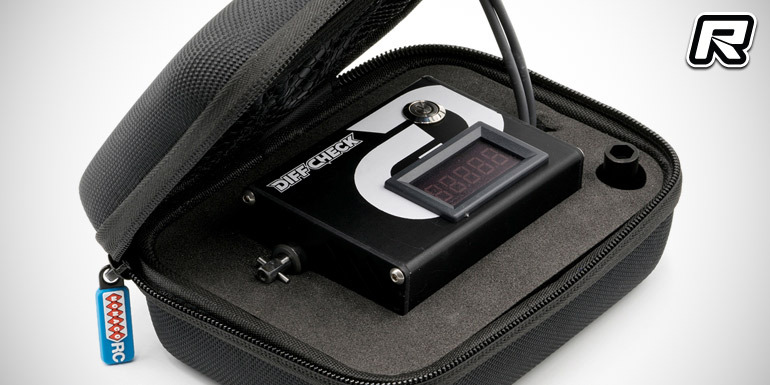 The device, that comes in a high-quality zipped bag, is powered using a standard 2S LiPo battery and an large LC display allows for easy recognition of the measured value.